Liam has worked with a wide variety of brands over his 13+ year career in the ad industry. 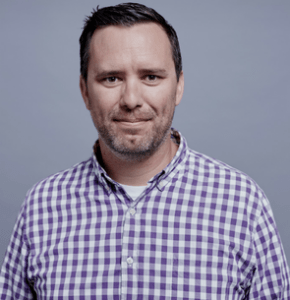 Most notably, Liam spent 6 years at Wieden + Kennedy’s Portland office managing multiple award-winning campaigns for brands like Nike, Old Spice, P&G and Samsung. After W+K, Liam ran the Adidas, Google and Nestle accounts at digital agency Swift in Portland. Most recently, he relocated to Austin with his wife, Kari, and dog, Gus, to take on a Brand Director role at Preacher. In his role, he oversees work for Basil Hayden’s and Hopdoddy, amongst others at the independent Austin shop.